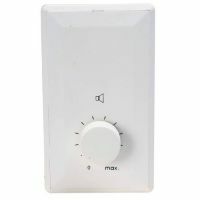 This is a 100 watt single gang deluxe ABS Volume Control for surface mounting and is supplied without back box (an optional back box is available at extra cost). It is ideal for installations in home or office with low power loss and no heat generation. It has concealed fixing screws and can be wired for with or without restoration. 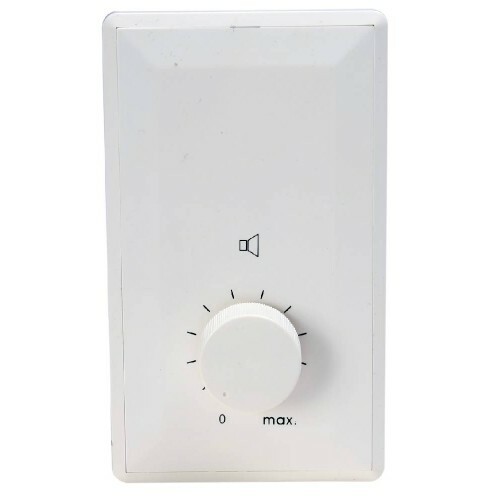 100 watt double gang deluxe ABS Volume Control. For surface mounting (supplied without back box). Optional back box available at extra cost. For installations with low power loss and no heat generation. Can be wired for with or without restoration.